Location is quiet and central to the island. Lots of toiletries provided - including sunblock and after sun. Good shower. 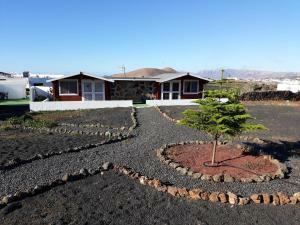 The property is very well located in the center of the island and easily accessible from the airport. There is a restaurant in walking distance, but other facilities are in the villages around. Renting a car is recommended, although a bus stop is nearby as well. The location is great to explore the whole island and appreciate the rural live of the islanders. 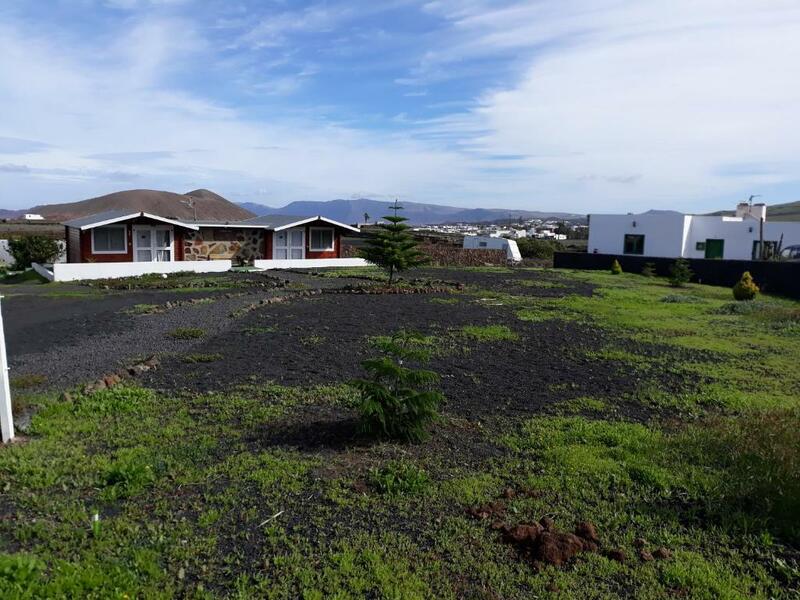 The facilities are good, a cabin/bedroom with an ample bathroom and a well equipped kitchen in anther building connected by a lava path and spring flowers. In the bedroom there was even a small electric radiator that can be handy if the weather turns out unpleasant. The communication with the landlord before arriving was very good. The cabin feels a little bit like camping in a caravan. The bathroom and shower are good. For the kitchen you have to go outside and share the room with the guests of the other cabin. The neighborhood quiet and rural. For the price it is OK.
Great location. Easy to find. Very comfy and quiet place. Free parking. Nice kitchen. There is a washing machine and all the equitments in the kitchen and in our cabin. Kleines und gemütliches Holzhaus mit eigenem Bad und großer Dusche. Guter und freundlicher Kontakt zum Vermieter. Ruhige Lage. Gute Gemeinschaftsküche außerhalb des Hauses. El poder disponer de la cocina común, pero con fogones, nevera y mesa de comedor para cada cabaña. Muy buena ubicación, en una zona muy tranquila. LLegas facilmente a cualquier punto de la Isla. Instalaciones comodas y completas. La cocina, muy bien equipada, y muy práctica. El cielo estrellado por la noche, mucha tranquilidad y la localización perfecta para explorar la isla... Y una ducha que aunque fuera de termo eléctrico, tenia buena presion y genial. Buena cama firme y mucho espacio en la habitacion. 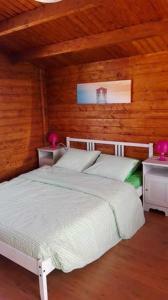 Lock in a great price for Cabañas Volcán Capellania – rated 8.7 by recent guests! 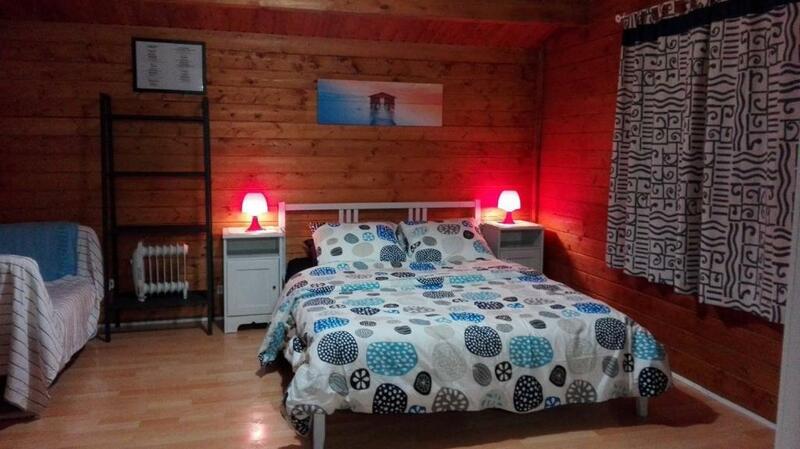 Located in Tinguatón, Cabañas Volcán Capellania features accommodations with free WiFi and a kitchen. 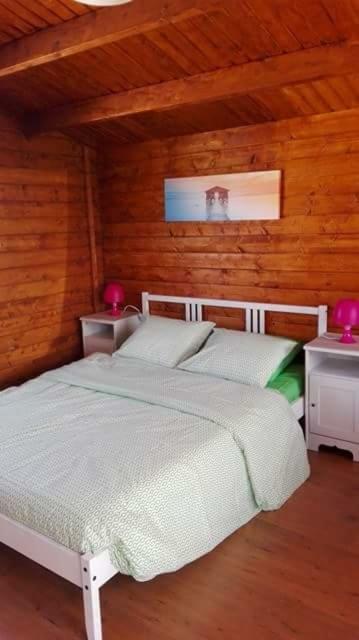 The property offers a flat-screen TV and a private bathroom with free toiletries, a hair dryer and bath or shower. The kitchen, set in a separate room outside the house, includes a microwave and coffee machine. Cabañas Volcán Capellania offers a barbecue. 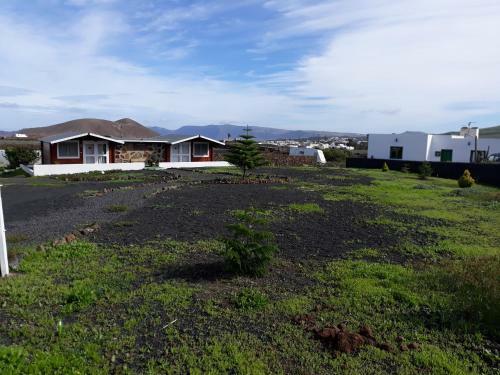 There is a garden at this property and guests can go hiking nearby. Puerto del Carmen is 8.7 mi from the accommodations, while Playa Blanca is 16 mi from the property. 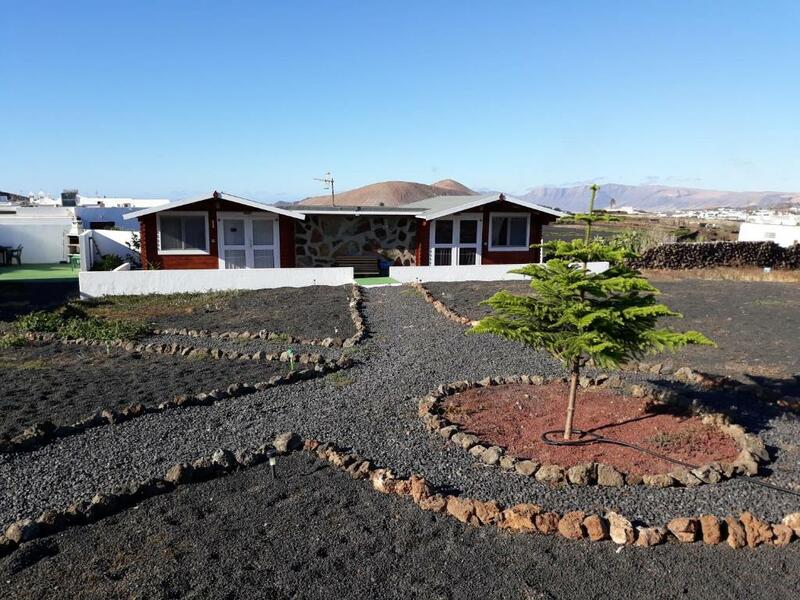 The nearest airport is Lanzarote Airport, 7.5 mi from Cabañas Volcán Capellania. When would you like to stay at Cabañas Volcán Capellania? This bungalow has a dining area, garden view and tea/coffee maker. This bungalow features a private entrance, kitchenware and pool view. Nuestras cabañas están situadas en el centro geográfico de la isla por lo que están muy cerca de todo a 15 minutos de la playa en un entorno rural muy tranquilo y agradable en el que podrás disfrutar de unas vistas formidables. Hay una parada de autobús a unos 100 metros de la vivienda pero es recomendable tener un coche para moverse mas facilamente. Tengo dos perros y dos gatos . No se puede fumar dentro las cabañas y las zonas comunes. No se puede tirar depositos como papeles, compresas o otro tipo materiales al water. No se puede hacer fiestas ni ruidos alto por la noche. Vario tranquilo al medio de la isla. A 15 mn de Famara. A 5 mn del supermercado y restaurante. Te recomendamos alquilar un coche. Hay una parada de guagua no muy lejo. Los numeros de bus son 52 y 53 para Arrecife, La Santa y Teguise. House Rules Cabañas Volcán Capellania takes special requests – add in the next step! Please note that this property is home for 2 dogs and 2 cats. Please note that smoking is strictly forbidden in this property. Please note that loud noises are not allowed in this property. Please inform Cabañas Volcán Capellania of your expected arrival time in advance. You can use the Special Requests box when booking, or contact the property directly using the contact details in your confirmation. The Wi-fi didn’t really work in my cabin. 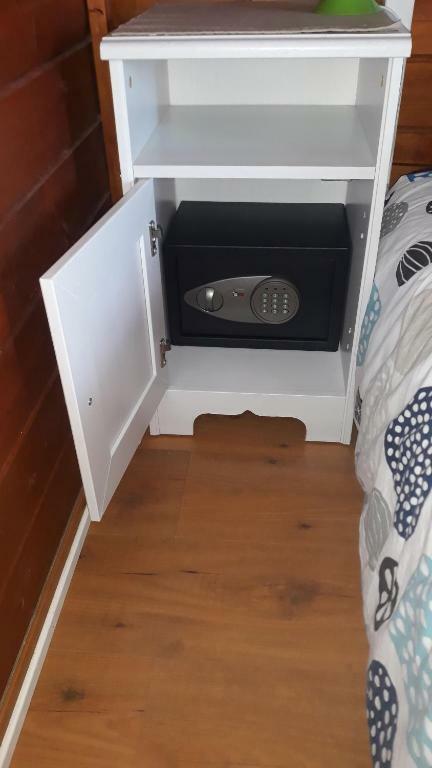 The bed was pretty uncomfortable- it had previously broken and there was an attempt to fix it with wood offcuts which you could see underneath. The kitchen was in a separate building- 2 kitchens set up next to each other in the same room - one for each cabin. The weather was a bit unseasonal and we had rain; that could be the cause of the damp in one of the bathroom corners. Not sure if they recycle, so we collected and segregated our kitchen waste and papers and we dropped it at the recycling point in one village. They are usually by the road and easily visible and accessible. We were not 100% sure that the bedding was clean, also because the towels from the previous guest were still there. The interior and furniture was basic and slightly worn. Internet did not work two of the three evenings.